Place assets where they are needed - printer location is functionally and economically driven, not constrained by existing LAN connections. SNMPv3 supports encrypted and authenticated management traffic protecting remote configuration and device status messages. IPSec can be used with both TCP/IP IPv4 and IPv6 networks and provides encryption and authentication of communications at the network layer. 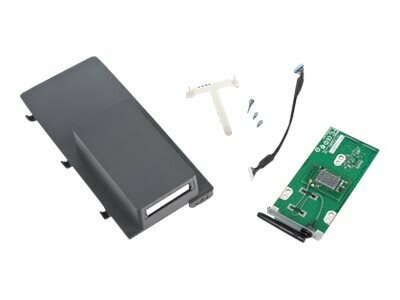 The Marknet 8350 Wireless Plus NFC print server connects to most major wireless networks via the 2.4 GHz band using one RP-SMA connector with antenna. 6.5"h x 8"w x 12"